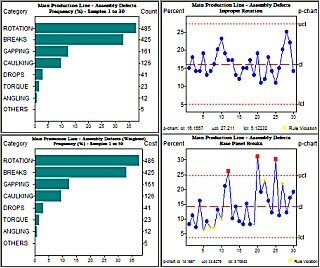 NWA QAx is the leading ActiveX-based solution when you need statistical process control (SPC) charting for product development and systems integration projects. With NWA QAx you can provide the SPC charting and analysis capabilities of NWA Quality Analyst embedded in your application. NWA QAx is a complete SPC software development tool kit. It allows you to embed ActiveX-based SPC technology into your application and supply a user interface that matches your users’ needs and the rest of your application’s look-and-feel. The NWA QAx controls provide statistical results, graphics displays, and lists of alarms and exceptions. 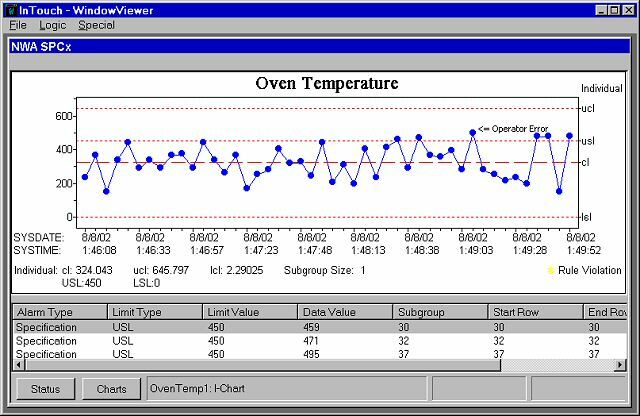 The graphical display supports click-events to display drill-down information for each point, such as date/time stamp, lot, or batch number. Applications using NWA QAx also integrate seamlessly with NWA Quality Analyst, simplifying your SPC solution design and reducing development time and support requirements. Your application can be designed to meet the more basic needs of typical users, while those who require more sophisticated analytical capabilities can use the full capabilities of NWA Quality Analyst. 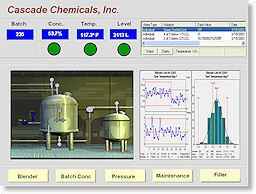 NWA QAx is a well-established ActiveX solution with several years of use in SCADA, LIMS and MES applications. NWA QAx is both comprehensive and easy to implement. Basic SPC charts can be added to your application with a few lines of code, while hundreds of methods and properties are available to support the most complex requirements. Flexible data methods make it easy to populate and manage Data Sets of up to 200 variables, while a “validate” method checks to ensure correct use of the configuration properties before execution. With NWA QAx, you get more than a set of development tools – you get a partner in adding SPC capability to your product or project. NWA is the leader in SPC, with over 20 years experience and over 5000 customers worldwide. We can help ensure that your application of SPC is done right and meets your users’ needs. And, to help get you started, NWA QAx comes with a library of over 20 easy-to-follow sample applications that cover the full range of its capabilities. SPCx provides a full range of SPC charts with the configurability of our award-winning NWA Quality Analyst® charting and analysis package. 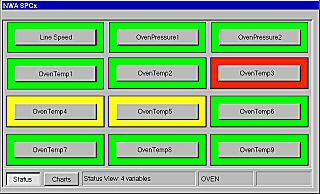 The configurable status view displays color-coded visual indicators of the alarm status for each variable based on any combination of specifications, SPC limits, or pattern rules. 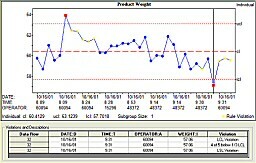 Users simply click on an indicator to display an updated SPC chart and exception report for that tag. By clicking on a point of interest, you can drill down to see more information about that point, add text comments, or select from predefined lists of Assignable Causes and Corrective Actions. Deploying on-line SPC applications is made easier with SPCx Designer to create product and process variables and associate them with InTouch or FactoryTalk View SE tags. * Configure different views of the data including status screens, control charts, and exception reports. * Point-and-click set-up and configuration. No scripting required, even for advanced features. * Connects directly to InTouch or FactoryTalk View SE tags with time- or event-based sampling. * Attach to any ODBC-compliant database. * Low cost of ownership with streamlined configuration and maintenance. Once installed, SPCx can be up and running in minutes. 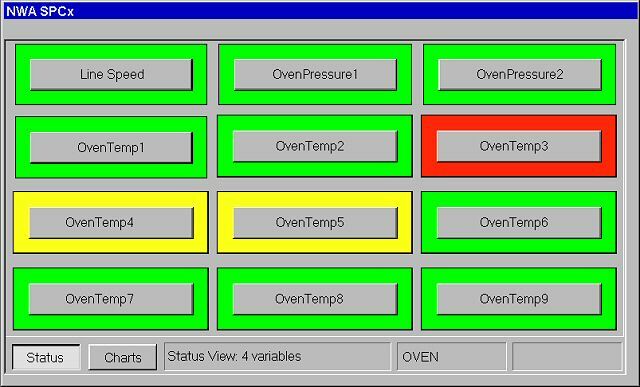 Simply add SPCx as an ActiveX control to your InTouch or FactoryTalk View SE window and use the tag browser to select the tags you want to monitor and chart. 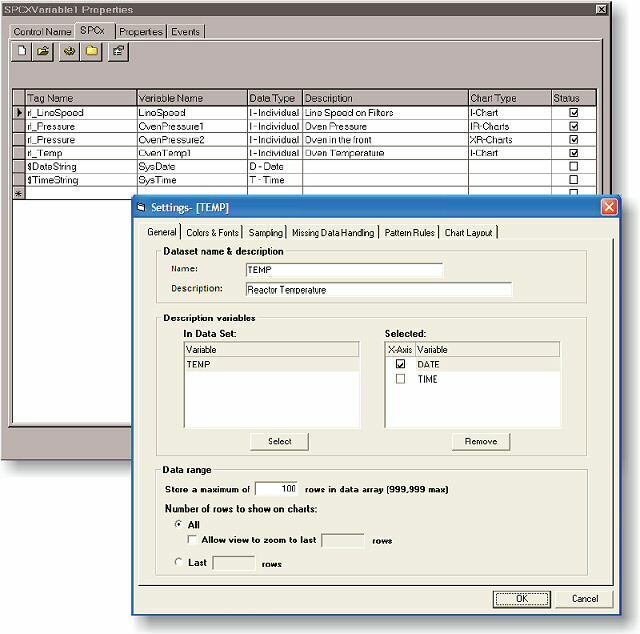 The point-and-click user interface and tabbed dialogs make it easy to set up SPC charts, status and alarm conditions, sampling plans, and the other configuration parameters that allow you to adapt to any SPC requirement. No scripting is required.